Short-tailed jacket in burgundy Prince of Wales wool blended fabric. 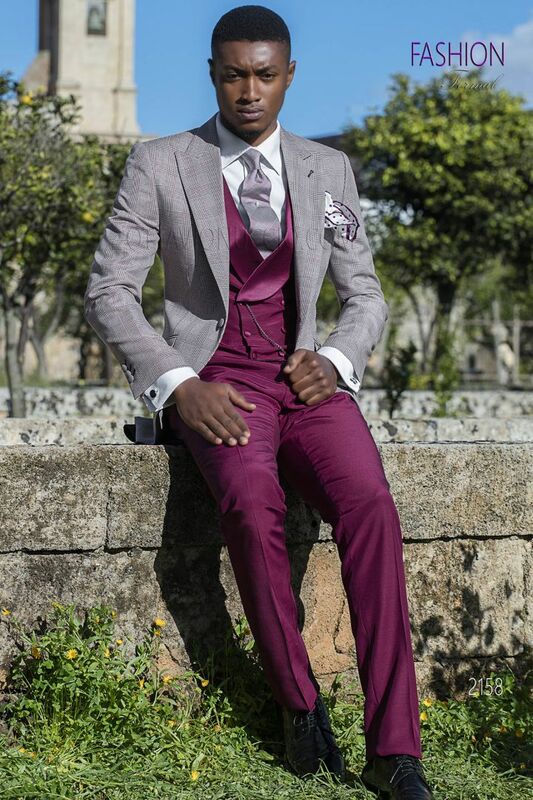 Classic peak lapel, 2 angled flap pockets, one sing... Short-tailed jacket in burgundy Prince of Wales wool blended fabric. Classic peak lapel, 2 angled flap pockets, one single vent at back, 1 covered button on the front with angled buttonholes.